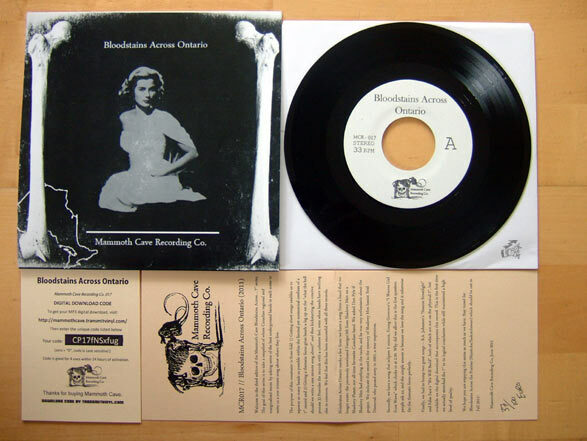 Bloodstains Across Ontario out on Mammoth Cave Recording Co. is a various artist 7“ record including digital download code plus an insert with a little writing about the project and the bands. Als Appétit Happen fürs neue Nada Surf Album, eine Records Store Day 7″ Single mit zwei Liedern: ”The Moon Is Calling” und “You’re Going To Miss The Wood”, beide in einer Demo Version, welche aber OK sind. Schöner Rock (wird dies noch Alternativ genannt? ), mit Schwung und Melodie. Gerade auch auf Tour im Lande, ach ja und die limitierte Platte hat noch einen Download Code dabei. A new 7“ single by Nada Surf with two songs in a demo version: ”The Moon Is Calling” and “You’re Going To Miss The Wood”. The quality is all right and the music is good melodic rock! 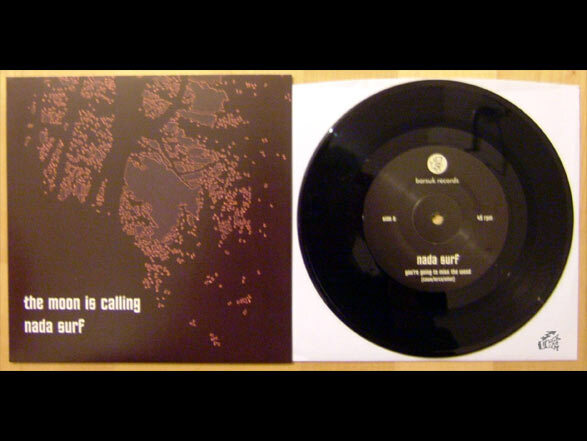 The 7” came out on Records Store Day and the the Band Nada Surf is on tour right now, don’t miss them. Und eine weiterer 7″ vinyl Single, welche hier und jetzt eine kurze Vorstellung bekommt: Wilco mit „I Might“ und auf der B-Seite „I Love My Label„. Die A-Seite mit „I Might“ ist ein Indie gute Laune Gitarren Stück, läuft durch und macht Spaß, läuft noch ein paar Mal durch und macht immer noch Spaß. Die andere Seite mit „I Love My Label“ ist ein Cover von Nick Low. Das klingt nach Amirock, nicht schlecht, aber auch nicht der Überhit. Bin da nicht so bewandert, aber so Tom Petty Schiene gebe ich als Anhaltspunkt. Inklusive Download Code der zwei Lieder. Another 7″ vinyl single gets free advertisement on Rock The Cam, this time it is Wilco with „I Might“ / „I Love My Label“. The a-side is a nice, groovy good mood guitar indie song, I like it while listening to it the first time and several plays later I still like „I Might„. On the flip is a cover from Nick Low called „I Love My Label“ which is not bad but as well not the hit. Inclusive free mp3 download of both songs, nice. 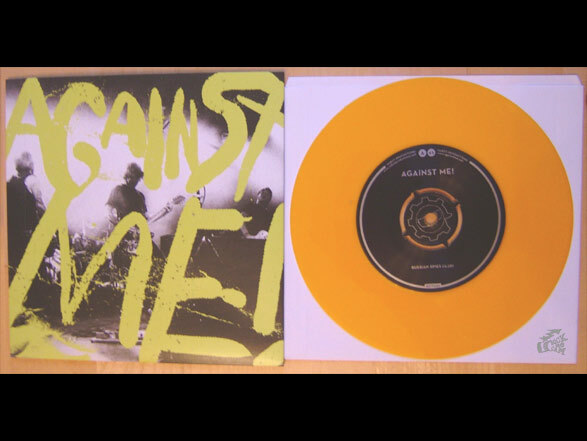 Und eine weitere Against Me! 7″ Single. Diese hat zwei Lieder darauf. „Occult Enemies“ ist ein typisches Against Me! Stück, die Gitarre, Tom Gabel’s Gesang, Druck und Melodie. „Russian Spies“ ist na ja, zum Schluss nervt es, da kein Ende gefunden und ständig wiederholt wird. One more Against Me! 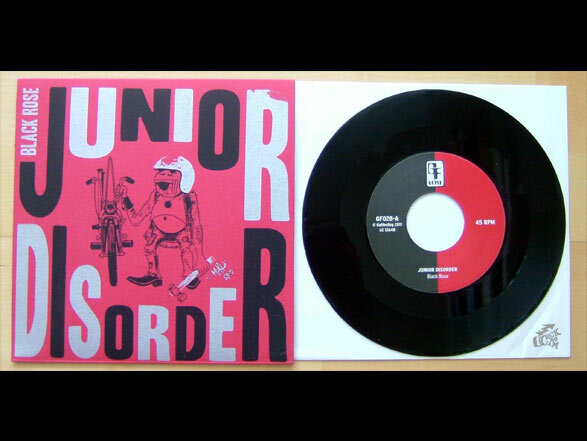 7″ vinyl single including two songs. Side A „Occult enemies” is a typical Against Me! song, Tom Gabel’s voice, guitar sound, some pressure paired with melody. The B side does not hold that level, the more I listen to it, the more it annoys me, I can’t stand it when there is no end and the same refrain gets repeated and repeated. Schöne 7″ Single auf Gutfeeling. Auch der Inhalt passt, Junior Disorder spielen so einen Garagen Surf Mix mit einer dunklen Note. Auf der Black Rose Scheibe gibt es 2 Songs (Black Rose + Garage Surf Party) und beim beiliegenden Downloadcode kann man nochmals 6 andere dazu holen. 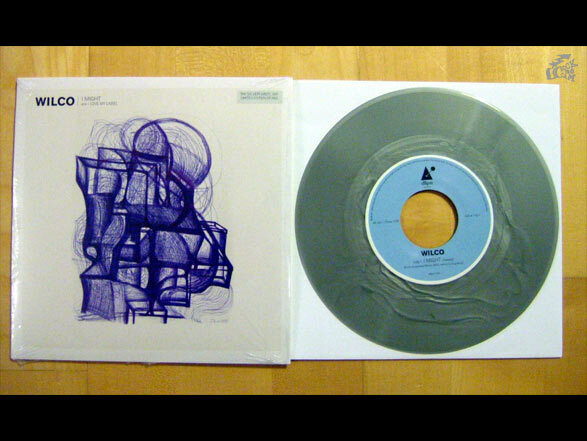 Nice 7″ vinyl from the label Gutfeeling. Even the content fits. Junior Disorder performing 2 garage surf songs with a dark note. And together with the included download you get another 6 songs. My favourite is the eponym: black rose. „The Fire. The Steel. The Tread“ ist auf der A Seite und die Frage stellt sich, ist das noch/wieder Punk Rock? Eher weniger, dafür klingen aus den Rillen der Schallplatte Töne, die ich unter Rockmusik einordnen würde. Melodiös und groovy, dazu die bekannte raue Stimme, passt. Auf der B-Seite dann „Up To Nothing“. Der Song kommt schon flotter daher. Treibendes Gitarrenlied mit Gefühl für die Melodie, geteilter Gesang und insgesamt klingt dieser für mich besser. 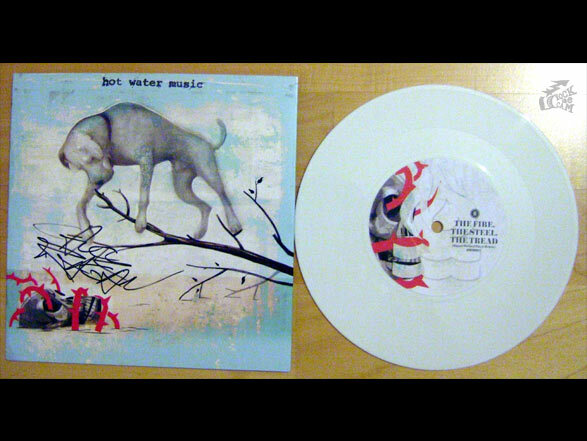 It is quite a while since the last new release from Hot Water Music and now here on white 7” vinyl (I think it is the euro tour pressing) two new songs. On side A it is “The Fire. The Steel. The Tread” which has nothing to do with Punk Rock, but is good Rock music. Melody, groove and the typical hoarse voice. B-side brings “Up To Nothing” which is faster and has more drift. Guitar music as well and the vocals are split between Chuck and Chris, I like this better. Steve E Nix mit den Cute Lepers haut mal wieder 2 gute Laune 77er Jahre Punk Smasher raus, viel Drive, viel ahaaahhhaaaas. Bei den Cute Lepers weiß man was man bekommt! „Damaging Acts“ hört leider viel zu schnell auf und auf der Flip gibt es „Don’t Believe The Numbers“ was etwas langsamer und nicht ganz so klasse wie die A-Seite ist, aber trotzdem immer noch das Prädikat gut bekommt. Another two good mood 77 punk smasher from Steve E Nix and The Cute Lepers. “Damaging Acts“ and „Don’t Believe The Numbers“ are two typical Cute Lepers fun tunes (you know what you get) out on white Damaged Goods 7” vinyl. There is a orange version as well.